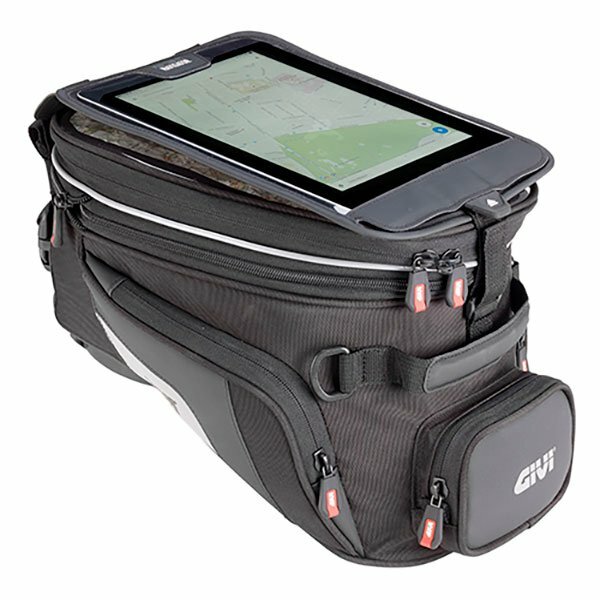 Has anyone ever tried a givi xs320 tank bag on a tenere? the givi xs320 is made for the versys and the African twin using there tank lock system. 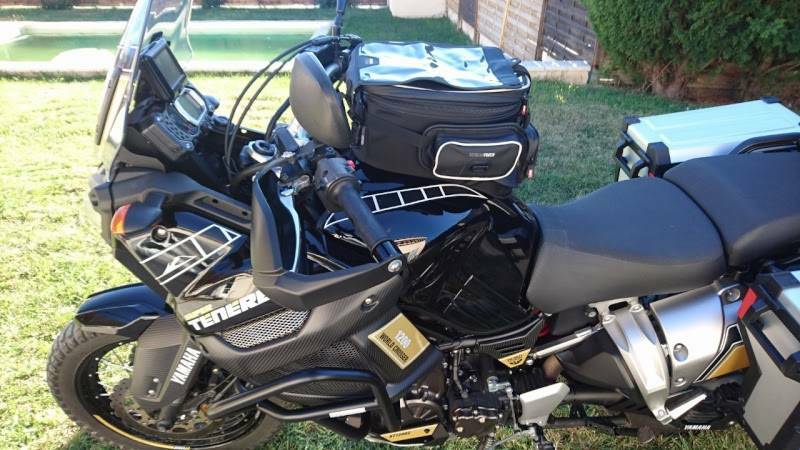 I just wondered if anyone had ever tried one on a tenere? They’ve got a slope to them that looks like it would work on the tenere tank. I’ve got the rox pull backs installed and trying to figure out a good tank bag to get. Going off the measurements some of them must be huge. Any suggestions? Thanks The tank lock system looks pretty slick? Thoughts? I have the xs308, looks to be similar shape to the 320 but with removable side pockets. 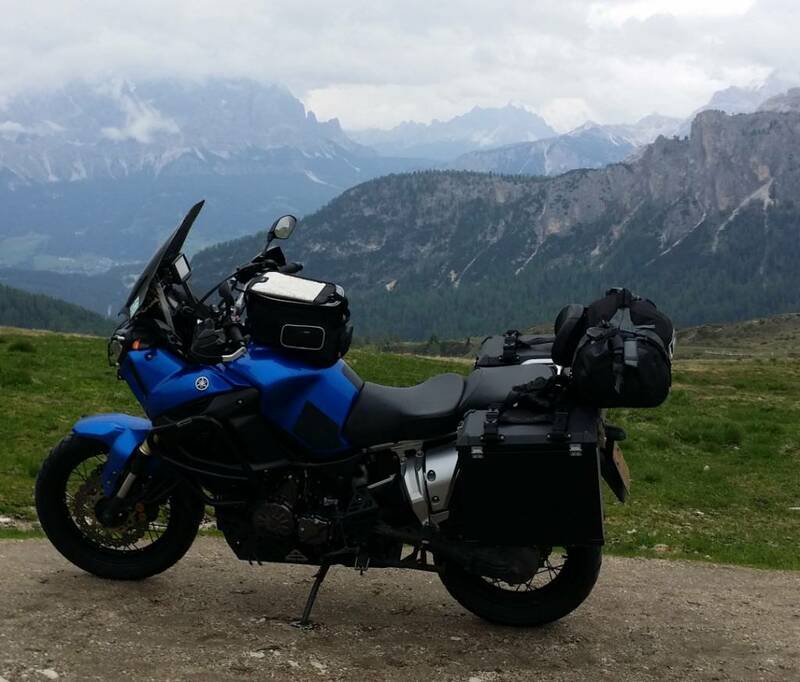 It fits the Tenere tank perfectly and the mounting system is great. The rear of the tank bag rests on the fuel tank so I use a film of 3M stone guard to protect the paint. I've had it 2 years and use it on both my bikes, the zippers and Velcro still work as new. Edit: Oops I think mine is the 308 too. What brand of headlight protector is that? Oh, i hadn't noticed that, assumed the mounting on the bag was fixed. I'll try playing w/that. Thanks! Yamaha, It is not sold in the USA though. I bought mine here in Canada. You can see it better in this pic of my new bike. It just pops on and off into rubber cups inside the extensions with metal balls on the back of the protector. Here you go, the blue bike was mine, the black bike is a photo I got sent when I asked the exact same question as you did. I'd had the yamaha bag, and an sw motech before and for me the xs320 and givi lock system is easily my favourite. this is not XS320, but XS308! The xs320 is a different shape at the back and doesn't fit the tank shape as well. Apologies on the mix up. The xs308 fits the bike the best. Cool concept I wonder why they don’t sell them in the USA??? ?